What a delightful book written and illustrated with a light, humorous touch. The message is right in the title, I Am Strong! I Am Smart! One of the most protective factors in any child’s life is the self-perception that “I am capable, important, and powerful.” This book allows children to enter into this self-perception along with our heroine. A valuable, fun read, reinforcing key family values and strengths. Priceless! The reader becomes immediately drawn into the relationship between grandmother and granddaughter. During the story, one sees the characters interact in a variety of settings, and through those interactions a firm foundation of love and trust is developed. Each has something to offer to the other socially and emotionally. Positive relationships between grandparents and grandchildren are proven to be essential. The author, Fay Klingler, helps one see that a grandparent can help a distraught tween overcome challenges faced at school by just being available to listen, then through encouragement, and finally by following up and not dismissing her granddaughter’s feelings. Then when the grandmother faces challenges of her own, Lu, the granddaughter, takes it upon herself to lift her grandmother in a way no other person could. This is a wonderful book for all ages, early elementary to the most experienced grandparent. I have two books coming out this month—I Am Strong! I Am Smart! and a non-fiction book, We Are Strong! Mothers and Daughters Stand Together. Both of these books revolve around the influence one generation has on another—grandmothers/grandchildren, mothers/daughters. I Am Strong! I Am Smart! for ages 8 to 12 is fully illustrated (Christian, national). A couple of my beta readers (non-professional critiquers) were in this age category, and oh, my goodness, they did such a marvelous job and were very entertaining to work with. The artwork was done by Briana Shawcroft. She did an excellent job and I had a lot of fun working with her on this project. This book was the product of my wonderful mother’s example. As a child, my mother taught me 100 ways to play Solitaire and Double Solitaire. I’ve continued to learn much from her and from my children and grandchildren. In this book I wanted to show how, no matter our age, we not only can learn from each other, but we can build each other up and help through the crises that come our way. To my delight, I Am Strong! I Am Smart! received 23 endorsements before it even went to press. I hope mothers, grandmothers, and granddaughters, in particular, will feel the “warmth” of this book and gain from it. 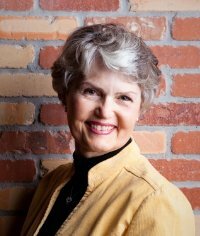 Fay A. Klingler, author and illustrator, is an award-winning creative and technical writer, as well as a sought-after motivational speaker for women’s groups. Her expertise includes successful patterns for life, betrayal recovery, and effective grandparenting. Her previous publications include We Are Strong! Mothers and Daughters Stand Together; A Woman’s Power: Threads that Bind Us to God; Shattered: Six Steps from Betrayal to Recovery; Daughters of God, You Have What It Takes; The LDS Grandparents’ Idea Book; My Magnificent Mountain; The Complete Guide to Woman’s Time; Our New Baby; and A Mother’s Journal. The Klinglers have twelve children and thirty-five grandchildren in their blended family. They reside in Draper, Utah. The book can be purchased in Christian bookstores.